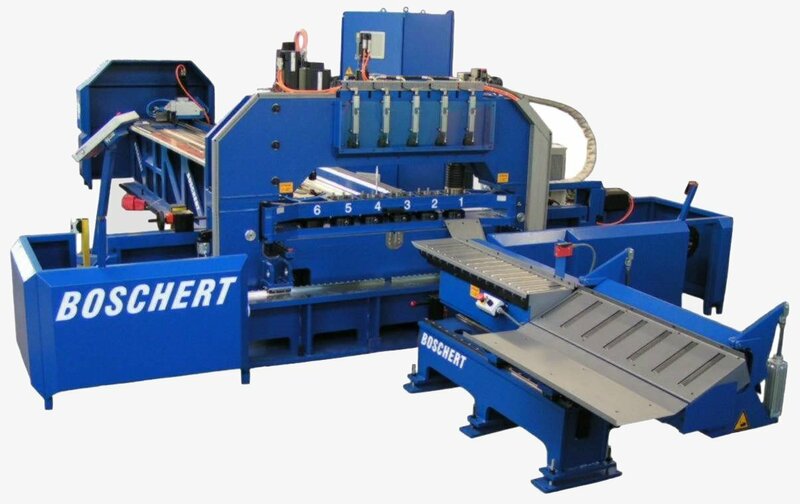 Punching of copper bars up to 6 m long and with a wide of 20 mm up to 200 mm. 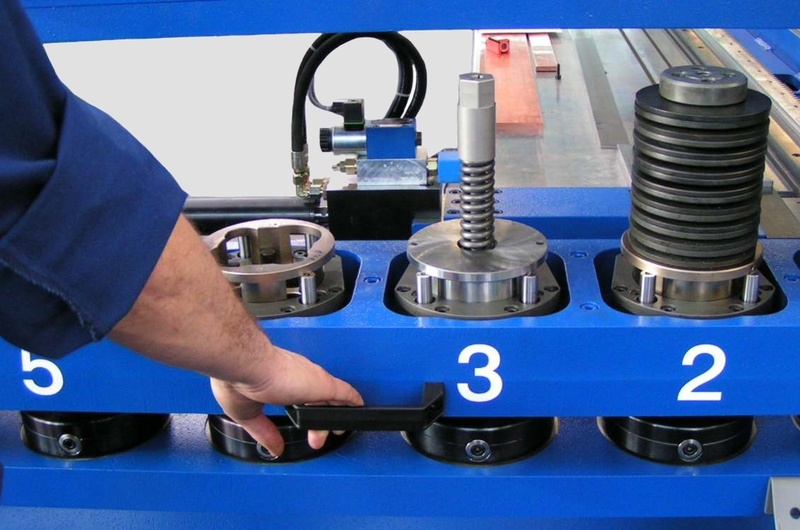 Feeding system takes place with 3 clamps which ensures complete processing with a minimum of waste. This feeding unit is supported on a fast rack and pinion drive and an AC servomotor which guarantees a repetition accuracy of plus minus 0,05 mm. 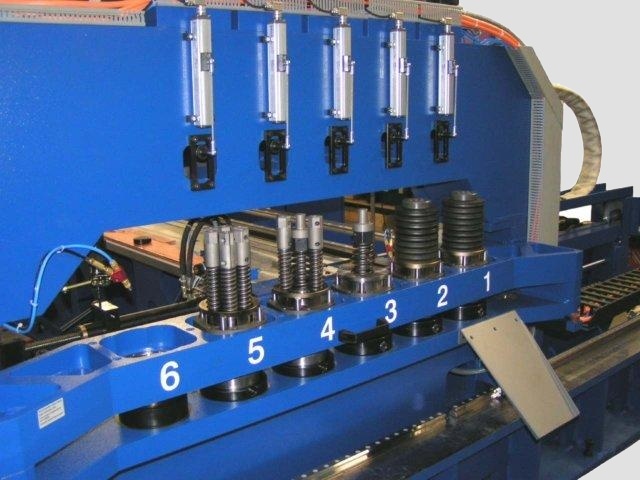 Hydraulic material clamping in y – axis before punching ensures processing without bending of the finished parts.